5001 Oceanfront Avenue, Atlantic, Virginia Beach, North End, vacation rental, Atlantic Avenue, Beach, Oceanfront, Resort property, weekly rental, summer rental, Neptune Festival, Shamrock Marathon, Accommodations, Lodging, Tidewater, William E. Wood, Howard Hanna Company, Labor Day, Rock and Roll Half Marathon, American Music Festival,Beautiful Ocean Views from the Spacious Screened Porch. A Very Popular Beach House just steps to the Beach! Beautiful Ocean Views from the Spacious Screened Porch. A Very Popular Beach House just steps to the Beach! Ocean views from the huge screened porch! 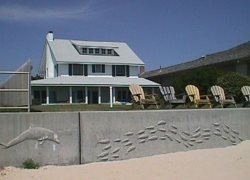 Very popular beach home with 4 bedrooms and 3 bathrooms. Just steps to the beach! This home sleeps 8 people.